The Signature Series Vocal Collection brings together four custom vocal mixing chains, designed by leading producer/engineers Chris Lord-Alge (Bruce Springsteen, Green Day, Foo Fighters), Eddie Kramer (Jimi Hendrix, Led Zeppelin, Kiss), Jack Joseph Puig (U2, The Rolling Stones, Lady Gaga) and Tony Maserati (Beyoncé, Jay-Z, Black Eyed Peas). Through their years of experience producing and mixing the world’s biggest recording artists, each of these masters has developed an extensive palette of personal processing techniques, which are encapsulated in their Signature Series plugins. 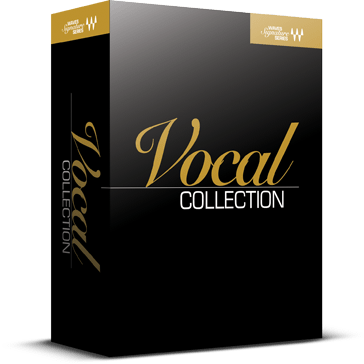 These are their go-to vocal chains; now they can be yours.